A wonderful top by Sarah Liller in her signature rayon stretch fabric. 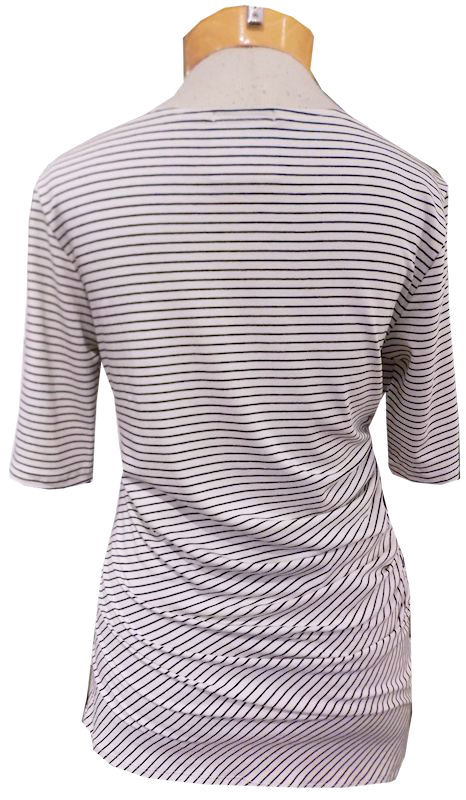 A soft wide scoop neckline, with elongated short sleeves, and a nice longer body length. The fabric is refined and sleek, which makes it easy to wear casual, or more tailored (pair it black trousers for work). A great foundational piece!